Ang-sweet ng magtatay! The kilig factor is very evident in Pia's smile. 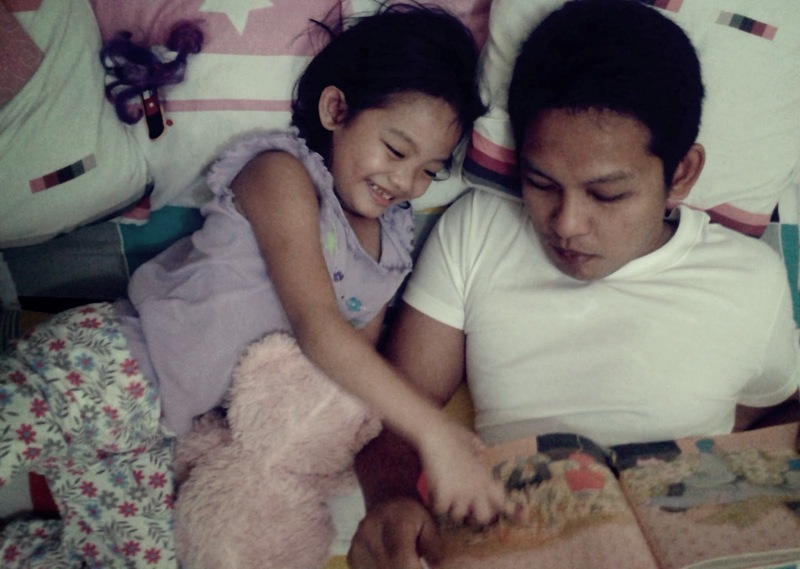 :) She's so lucky for having a father that is more than willing to read her stories. My hubby just wouldn't touch anything with paper and print. Hehehe!